Selamat Jalwa! We start today with a brief progress report. Currency items that are earmarked for distribution are in the process of being readied. We know that it has been a long and difficult journey for all. It is therefore important that you know that those at the top of the various distribution levels are preparing to initiate a most amazing process. Once launched, and barring unforeseen circumstances, this process is expected to take over a month to complete. As you know, it has been a truly arduous journey for all. Delivery of prosperity funds is simply the initial stage of this intricate operation. We know that the protracted length of this procedure was complicated by the imperative to keep these actions secure and above board. It therefore created the commitment to go as slow as was necessary. Our purpose was to work with our allies and keep them satisfied about what was unfolding. This series of requirements forced us into a very slow and deliberate mode. Thus, it has taken over two decades to finish this component of our large and complex project. It is our joy to see that your consciousness and perception of this task have allowed a better comprehension of what this journey is all about. When we first arrived on your beautiful shores, we immediately sensed what was occurring. The Anunnaki were still the Overlords of this surface world, and treated their minions with a firm but velvet glove. It was your position to obey with few or no questions asked. This unfair reality caused us much pain for what you were enduring. We immediately discovered who was in charge of the Holy Light of Heaven’s accomplishments. At first, they were suspicious of our presence but gradually, they began to develop trust. Your Ascended Masters were our patrons, and through them our sacred project was explained to all. Nevertheless, it took us more than two decades to develop the degree of trust required to successfully attain our series of projects. Once achieved, we were able to implement projects that involved both the Masters’ secret sacred societies and the Agarthans. During this time, we increased the number of ships in our fleet and completed the training of those assigned to mentor you. These projects are, of course, continuing. We have begun to strategize how best to remove the minions that are part of a number of your governments. This process is generally tied to an ongoing legal process associated with the vast corruption and illegal operations of the current American regime. This project was first created to isolate vital aspects of those who ran this illegal action. The other part of the plan was for it to gradually manifest a new legal republic, based upon a series of documents that became known as NESARA. This operation resulted in a few complications that are gradually to be fully resolved. New governance has quickly been able to establish itself worldwide as the framework for the true governance of America. The overriding goal is to transform the current situation through a series of future announcements. Strategically, the exact timing of these announcements needs to be kept hidden from the public. It is therefore vital that this, and the prosperity project, proceed secretly until the proper time for full disclosure. It is our joint policy to keep all of this confidential until the security matters associated with it are completely resolved. As these stages of secrecy are completed, we move ever closer to disclosure. It is to be much easier for us to operate when we are able to talk publicly with you and delineate what Heaven has decreed. We realize just how vital it is to be able to operate away from the currently required shadows. Our liaisons have been forced to maintain certain protocols that are a bit clumsy. We have kept these up mainly to assuage our partners. In the coming months, this need can fade away as we begin to address you directly. The extent of pollution and climate change promulgated by the Anunnaki’s minions is most troubling. You have caused an amazing degree of imbalance in your atmosphere and oceans, and on your land. They need to be corrected. To us, these tasks are a simple set of operations. However, those who control governments hold policies that are against such procedures. We need to wait until disclosure is formally announced. As you can see, we are approaching a series of events that is to alter the way this global society operates. Hallelujah! Hallelujah! Namaste! We are your Ascended Masters! This special time of the year is heightened in joy by what is about ready to appear. The great spiritual gift of financial freedom is near. Therefore, let us be merry and of good cheer. This is a time, as well, when the energy of spiritual renewal manifests. Know that this energy is a symbol of a new pledge by Heaven to shower you with grace and action. This symbolizes how committed the Heavenly Hosts are to your safety and redemption from a flow of energies that are positively roaring throughout this realm. Let all humanity take note that this very special compensation is manifesting. Let this holiday season be celebrated in the knowledge that the monstrous evil that has been your bane is lifting. The happiest of holidays to one and all! It is truly a time to be looked upon with joy and heartfelt thanks to Heaven! Hosanna! Hosanna! Hosanna! As it always does, this glorious time began to seem beset with delays and the usual frustrations. Across this globe a grand renaissance of consciousness has pushed Gaia’s surface realm to new heights. Long lists of global humanitarian projects have accumulated, along with the funds amassed to provide for their completion. It is a time when the stresses of population growth and the blessings of a new reality are to merge. This glorious planet is to see a birth of miracles that is to bring it the dawn of world peace, founded on your soaring visions. These blessings are to manifest, and an explosion of activity is to see a new attitude arise the world over, driven by this planet’s growing consciousness. Heaven has long planted special seeds to make possible this splendid event. The shaping of this new reality is just the beginning. So stand back in anticipation and watch as this new reality quickly assumes its magnificent new form. As you can see, so many wondrous miracles are just around the proverbial corner. We Masters are proud of what you are to do when you finally receive your freedom and prosperity. These series of phenomena are to show you just how much you are truly capable of. We have watched patiently and seen how ruthlessly the Anunnaki’s minions have kept you down. All of this is now to change as you transform this beautiful orb that is your home. You are to develop plans to use new technology to clean your waters, air and land. When at last we reveal a number of key truths to you, even more miracles are to suddenly manifest. After your Space family finally lands, you will be able to demonstrate the extent to which your consciousness has grown. Even the Agarthans are to be in joy at what you have accomplished. It is this marvelous place that can now reunite with the Inner Realms to form a new Gaia! Today, we continued with our weekly reports. This magical time of the year has brought us much joy! The coming time is sure to bring all a resplendent sequence of wonders. It is also a time for you to use your amazing visions to manifest the true marvel that is humanity! Know, dear Ones, that the countless supply and never-ending prosperity of Heaven are indeed yours! So Be It! Selamat Gajun! Selamat Ja! 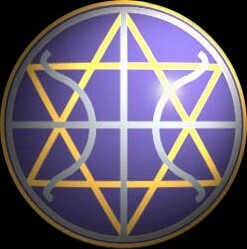 (Sirian for Be One! and Be in Joy! ).